Dating back to the 1700’s and completely renovated in 2009, Crossroads Cottage is simply bathing in high-quality detail from the moment you step through the front door. Our wee cottage features contemporary amenities and is very well connected. 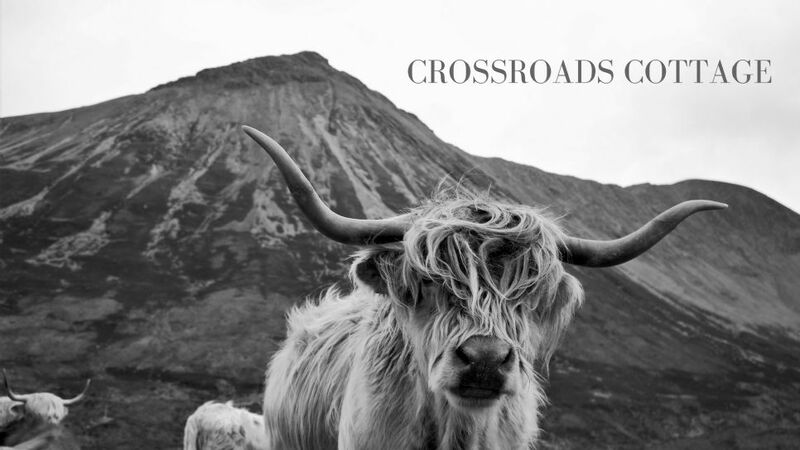 Crossroads Cottage is perfect for honeymoons, romantic getaways, energetic outdoor activities, exploring the highlands and mysterious Loch Ness or that well deserved break you have been putting off. A delightful cottage intended for 2 people and a well-behaved dog is always welcome. "We really cannot say that we have seen many cottages that have made such an impression on us as Crossroads. The minute you open the front door. ' WOW'. This little cottage has been so lovingly restored by the owners it is a credit to them. As you wander around the open plan lounge/kitchen you wonder how they have managed to get so much into such a wee space. If you are looking for a romantic tryst then we are sure you would not be disappointed, we certainly would not be! Snuggling up on the comfortable sofa in front of the log fire with a nice glass of wine after a romantic meal at the local restaurant just 2 minutes from the door what more could you want!"